The Digital Dutch unit converter converts angle, area, bits & bytes, density, electric current, energy, force, fuel consumption, length, mass, power, pressure, speed, temperature, time and volume units. Use Arles Image Web Page Creator to publish images to your own website. No cloud or other third party website required. Arles generates high quality thumbnails, modifies images and automatically creates HTML pages and uploads them to your website in a single click. 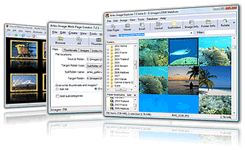 It comes with the fully integrated Image Explorer to manage your images. Digital Dutch clock is an improved version of the Windows gadget sidebar clock. It features a digital clock, a day field, a date field and improved animations. The 1976 standard atmosphere calculator computes atmospheric properties like density, temperature, pressure and speed of sound up to 86 kilometers altitude. This tool is mainly used by aeronautical engineers to perform calculations for aircraft. But if you always wanted to know the standard air temperature at 30,000 feet, go ahead and give it a try.